Hi! 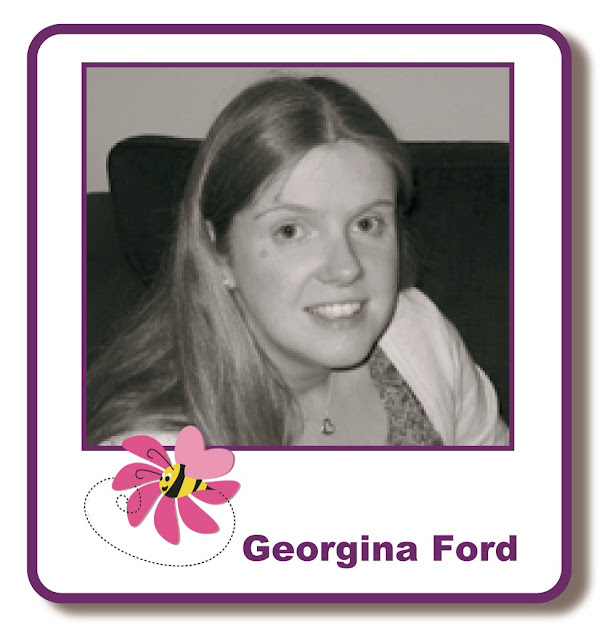 It's Georgina with my regular Thursday post and my first card as part of the male-themed fortnight promotion. I have a travel themed card to share with you today which is ideal for a man. 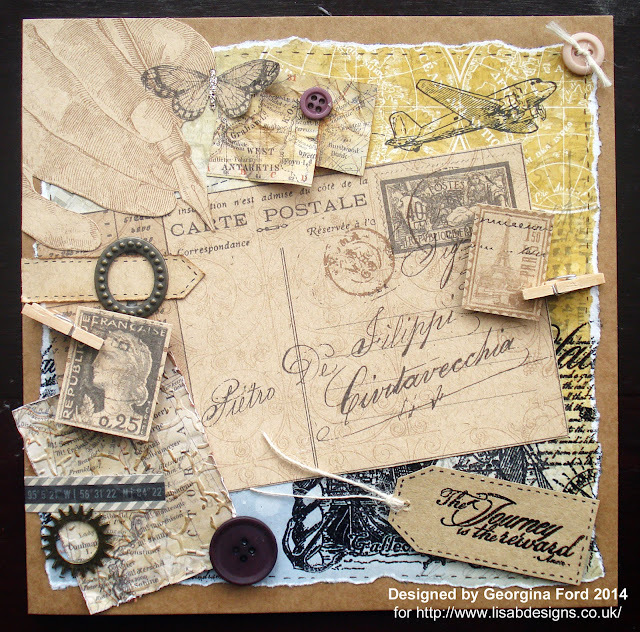 I created the card with layers of varies papers, stamps and embellishments. For the background I used Kaisercraft Now boarding collection terminal paper. I cut a square and the tore the edges and added black faux stitching. In the bottom right corner I stamped the sailing image. The stamp set I used was Hobby Art's Nautical clear stamp set. 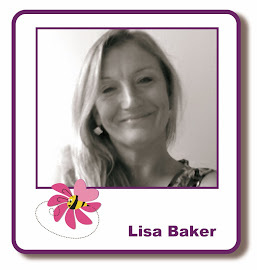 I stamped the image with a VersaMark ink pad and heat embossed it with WOW Ebony embossing powder. For the tag I used a sentiment stamp from the same stamp set and again heat embossed it. 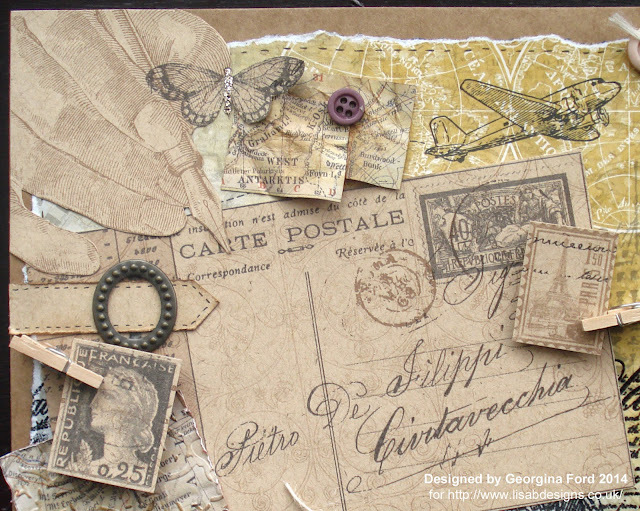 The postcard, hand, pen, postage stamp and butterflies images were cut from Graphic45 Glimpse of Paris 12x12 paper. 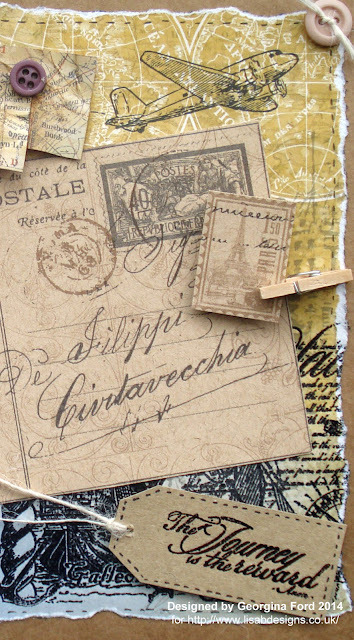 The map sections were cut from map patterned papers. To add dimension I scrunched up the pieces and the flattened then out slightly before adding to the card. The buckle is from part of vintage buckle set. 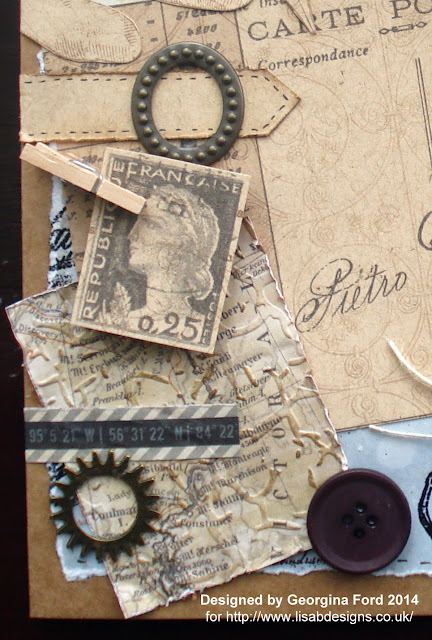 To finish the card I added buttons, cogs and thread. Lovely masculine card. There is so much to look at! A lovely male card with lots of detail. Real vintage feel to it too. Lots of layers. So effective. Great male card.